More than 650 sailors from 60 nations are gearing up to race on the waters of Biscayne Bay for the first big event of 2019. Racing is scheduled to commence on Tuesday 29 January and run through two days of Medal Races on Saturday 2 and Sunday 3 February. The 2020 Olympic venue in Enoshima, Japan was the last big opportunity for the world's top sailors to test themselves as the battle to Tokyo heats up. After a few months of rest, training and intense preparations, excitement for another busy year of Olympic class sailing is high, starting with the Hempel World Cup Series event in Miami. 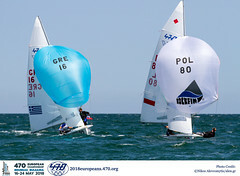 Luke Patience and Chris Grube (GBR) dominated the Men's 470 fleet last year in Miami and make a return to the waters in a bid to defend their title. The Men's 470 fleet will comprise of 37 strong teams. 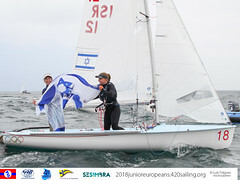 Hempel Sailing World Championships gold medallists Kevin Peponnet and Jeremie Mion (FRA) will join the Brits and Americans as favourites but further strength is evident in the five Japanese teams, Greece's Panagiotis Mantis and Pavlos Kagialis and Sweden's Anton Dahlberg and Fredrik Bergström. In the Women's 470, 31 crews will fight for supremacy on Biscayne Bay. Slovenia's Tina Mrak and Veronika Macarol controlled the pack in 2018 and are back in Miami in a bid to make it two golds in a row. 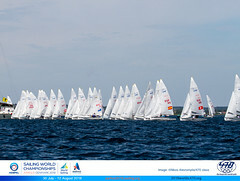 They will face stiff competition from a strong fleet of competitors, including Japan's Ai Kondo Yoshida and Miho Yoshioka. The Japanese duo won gold at the Hempel Sailing World Championships in Aarhus, Denmark and finish third on the podium in Miami one year ago. After finishing second at the first 2019 Hempel World Cup Series event in Enoshima, Japan, they'll be aiming for a similar high-level performance this time. Afrodite Zegers and Anneloes van Veen (NED) picked up gold in Enoshima ahead of the Japanese and narrowly missed out on a medal in Miami last year. Zegers has a new partner for 2019 - London 2012 bronze medallist and multiple World Champion Lobke Berkhout (NED) - so they will be ones to watch out for during the early days of their partnership. Rio 2016 gold medallist Hannah Mills, sailing with Eilidh McIntyre (GBR), will also be on the start line, as will the experienced Fernanda Oliveira and Ana Luiza Barbachan (BRA), Camille Lecointre and Aloise Retornaz (FRA) and Poland's Agnieszka Skrzypulec and Jolanta Ogar. Racing is scheduled to commence on Tuesday 29 January and run through to Sunday 3 February.